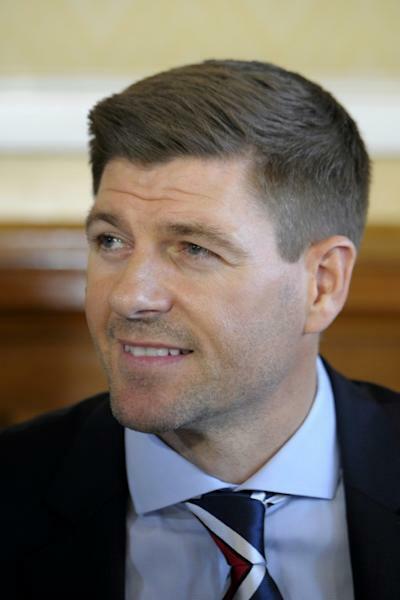 Steven Gerrard's first foray into management under the spotlight at Rangers drew plenty of skepticism, but in his first three months in the Glasgow goldfish bowl, the former England captain has barely put a foot wrong. Gerrard faces old Liverpool boss Brendan Rodgers in his first experience of the ferocity of the Old Firm derby against Celtic on Sunday on the back of a 12-game unbeaten run to start his managerial career. In doing so he has already restored some of the club's lost prestige by ensuring progress to the group stages of a European competition, the Europa League, for the first time in eight years. 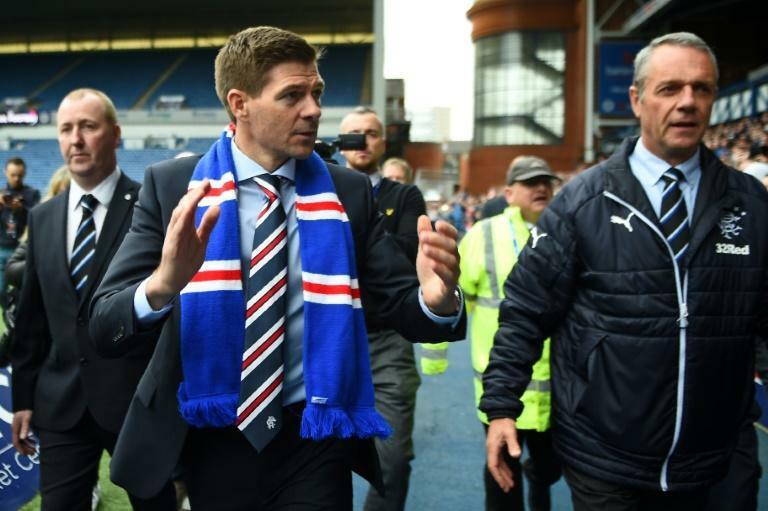 However, the ultimate test for how far Gerrard has brought Rangers in such a short period in charge will be if he can prevent Rodgers extending his unblemished record in Old Firm games to 12 at Celtic Park on Sunday. In two years in Glasgow, Rodgers has rehabilitated a reputation damaged by his final days at Anfield by winning back-to-back domestic trebles. On Rangers' last visit to Celtic Park, the hosts romped to a 5-0 win that sealed a seventh straight Scottish title and took Rodgers' personal record against Rangers to nine wins and two draws in 11 games with a 30-6 aggregate superiority. At the time the chasm between the two sides seemed so great that few questioned whether Celtic would ease to a historic 10-in-a-row. Rangers' response was immediate and bold. Gerrard was hired on a four-year contract within a week and has been backed with 14 new arrivals over the summer. There have been a few bumps in the road. Last-minute equalisers for Aberdeen and Motherwell in Rangers' first three league games mean Celtic have a one-point lead over their rivals heading into Sunday's clash. But in stark contrast to Celtic's last seven years of dominance, it is the green-and-white half of Glasgow giving off the sense of a club lacking in unity and direction. At their pre-match press conferences on Friday, Gerrard was allowed the chance to bask in the glory of reaching the Europa League group stages despite being reduced to nine men in the second leg of their playoff away to Russian side Ufa on Thursday night. Rodgers, by contrast, was bombarded with questions on the actions of wantaway star striker Moussa Dembele, who was finally allowed to join Lyon after Celtic accepted a bid for the unsettled striker late on Friday. There have been a number of false dawns for Rangers since returning to the top flight in 2016 after the club were liquidated in 2012 and forced to reform in the bottom tier of the Scottish football league pyramid. However, for once the air of confidence at Ibrox over mounting a realistic challenge to Celtic's hegemony is backed by the conviction of having a leader who hasn't shirked a challenge. "I can't wait for it," insisted Gerrard of facing the Celtic Park cauldron. "This is where I wanted to be as a player, this is where I want to be as a manager. "I want to compete against the best. I'm going against a top manager from a personal point of view and my team are going up against a good team. We're going into a stadium which is renowned for a top atmosphere."